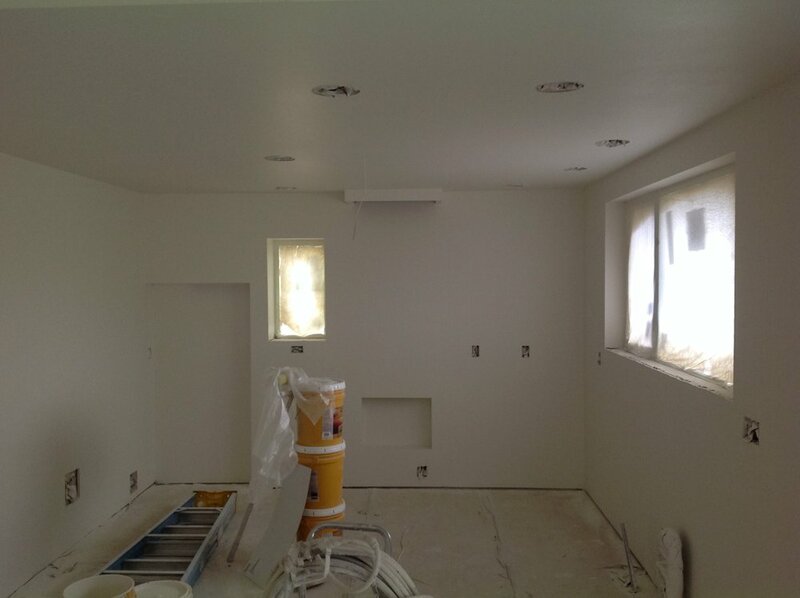 The kitchen is now textured and painted with zero-VOC paint. 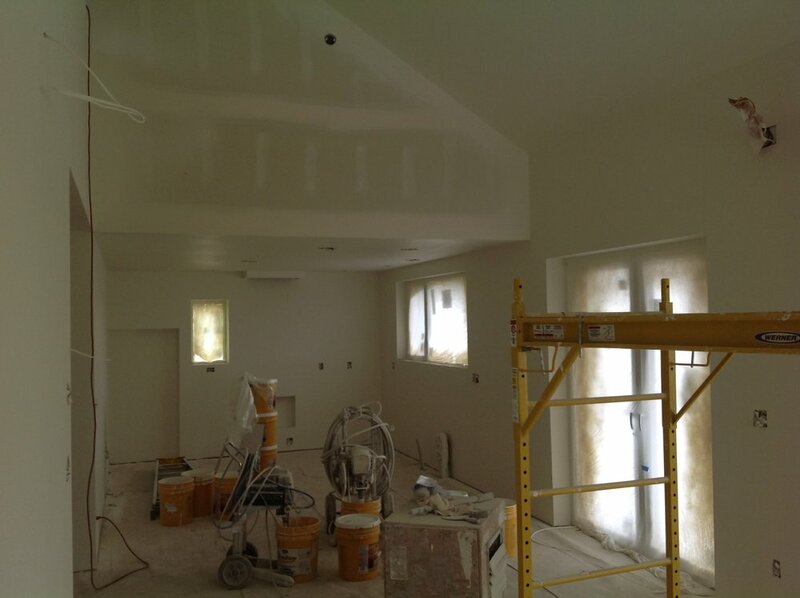 The house is feeling much brighter and more spacious on the inside now that it has been painted. 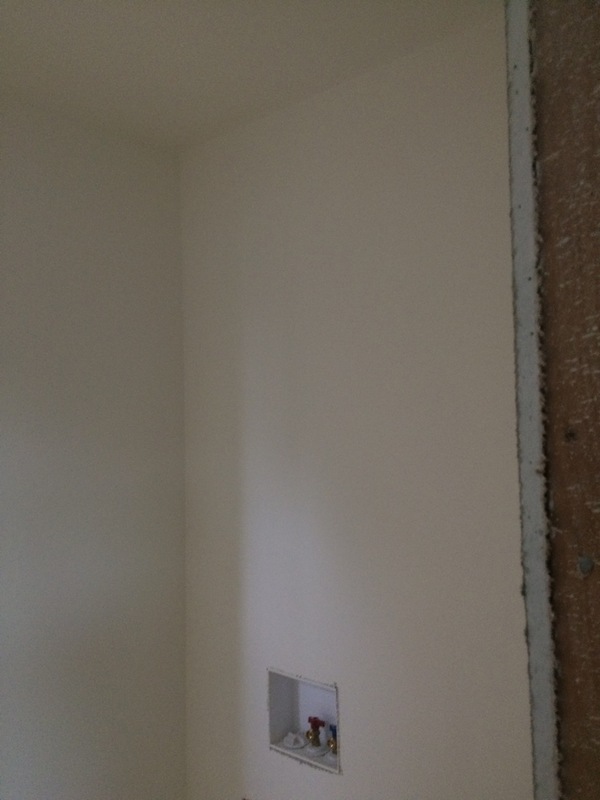 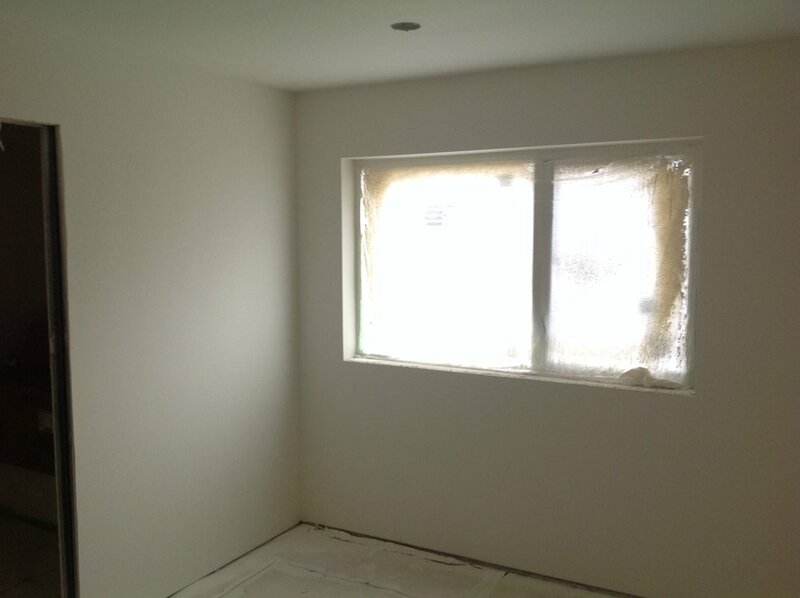 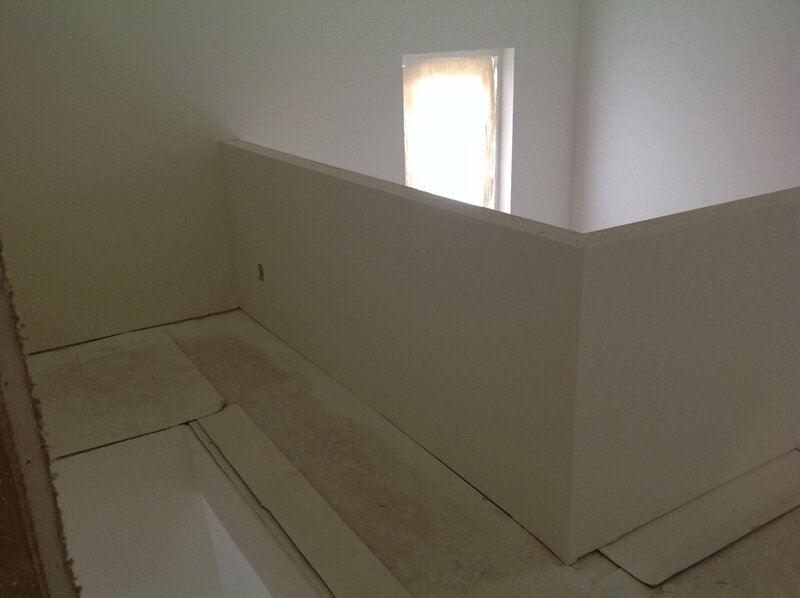 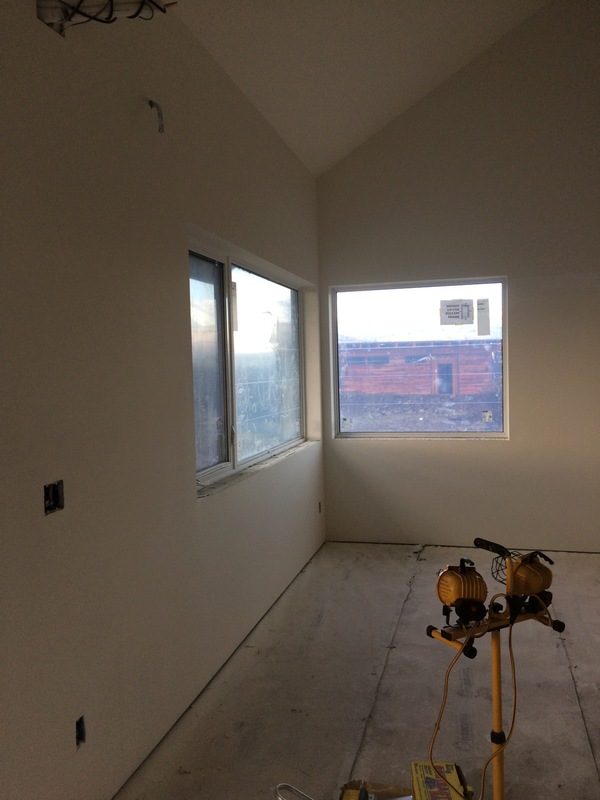 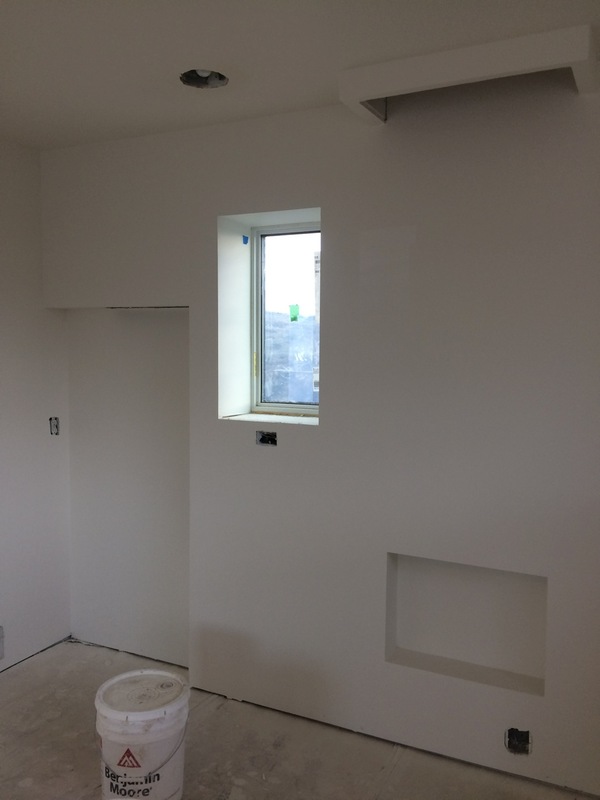 After a coat of ultra-low-VOC paint, our drywall installer sprayed on a very light orange-peel texture and then two coats of zero-VOC paint. 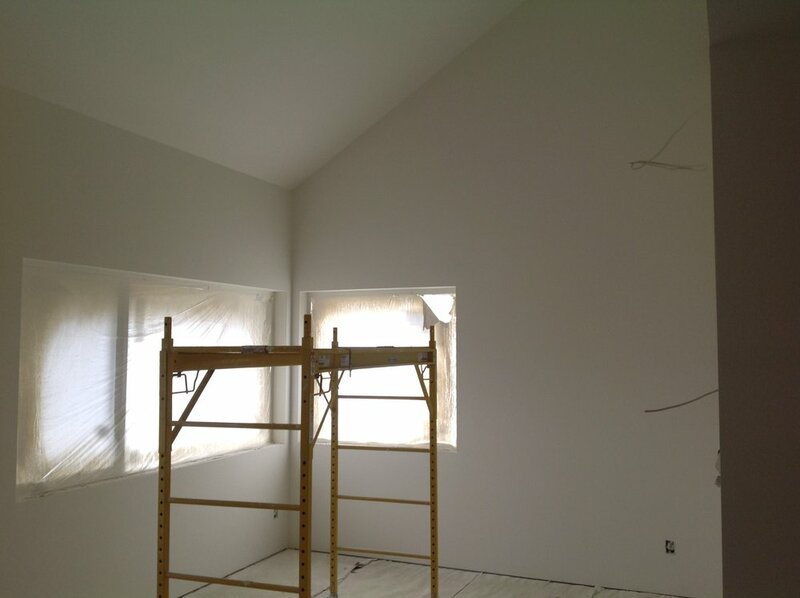 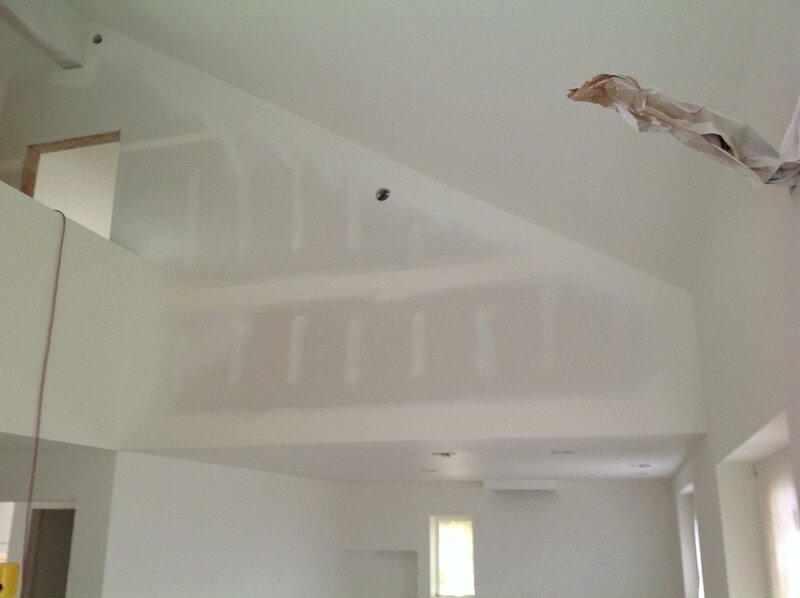 We chose to pay a slight premium for this premium paint to avoid the odors and off-gassing of traditional paints. 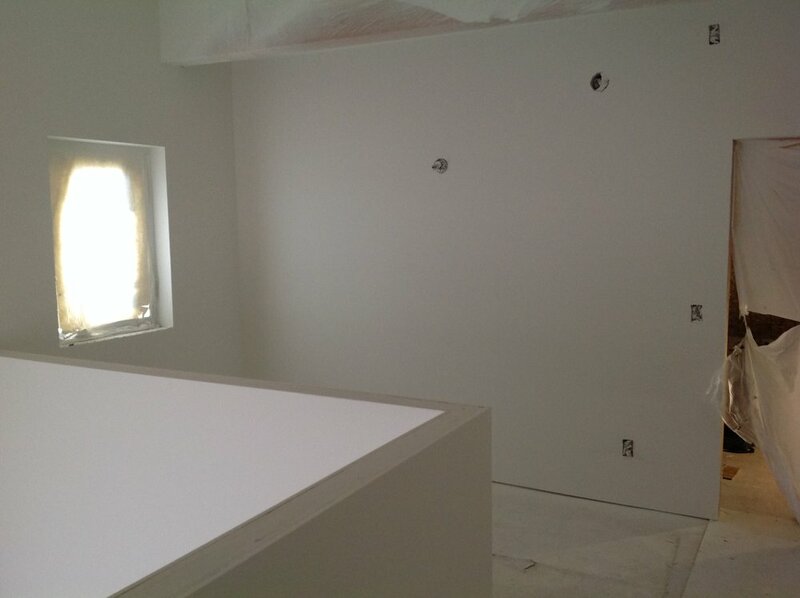 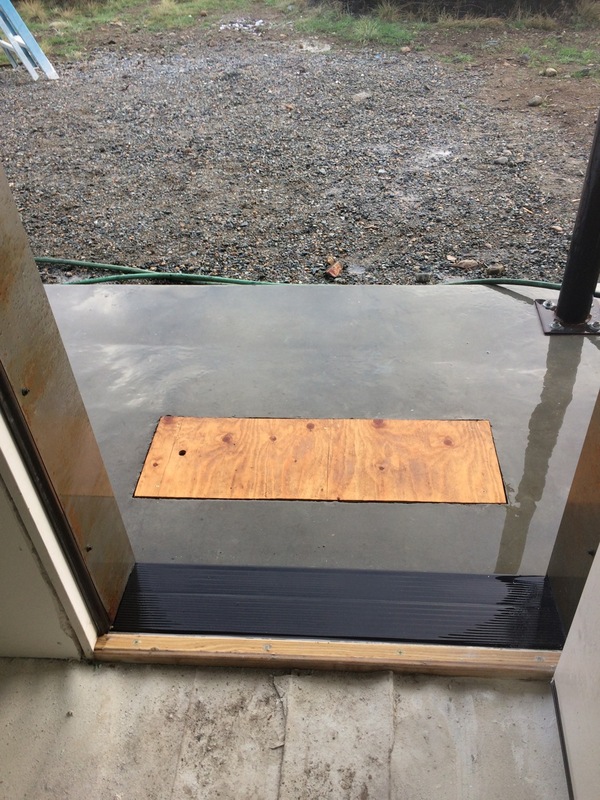 We want this house to be as comfortable as possible, and a contributing factor to that is indoor air quality. 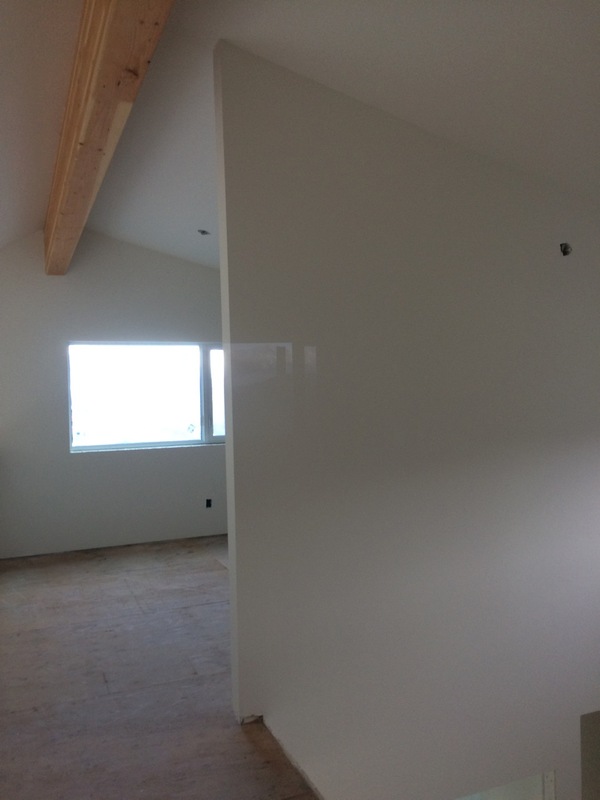 Our HRV will always be bringing in fresh air, but a traditional paint could still have produced enough noticeable odors and not-so-noticeable chemicals to affect the health and enjoyment of people staying in the house. 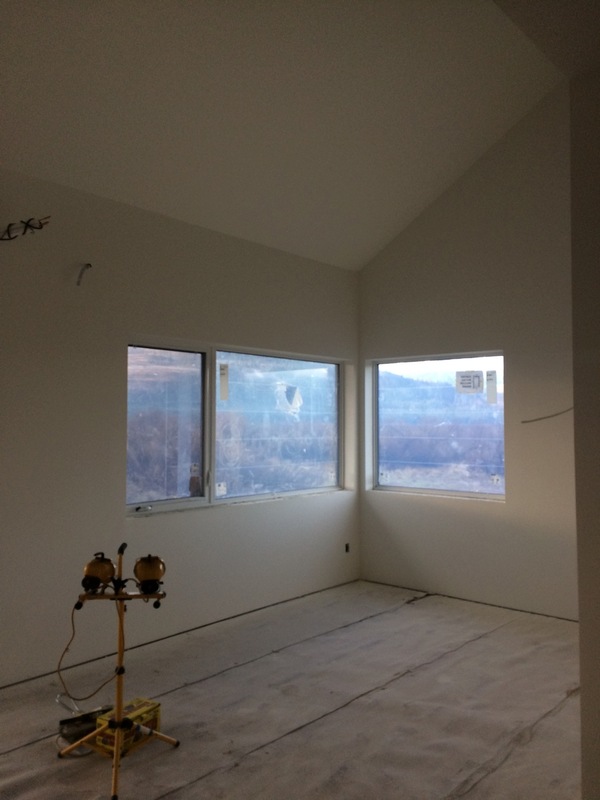 We used Rodda paint, but we had them match the color to "Greek Villa" by Sherwin Williams, the color we used in our Seattle zero-energy house. 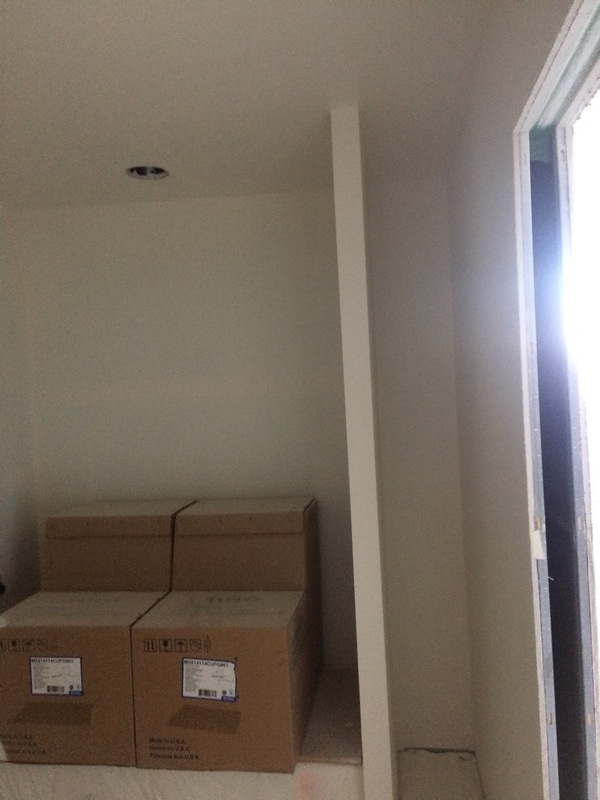 The bathrooms and two walls and the ceiling of the kitchen have a semi-gloss sheen, while the rest of the house is flat.